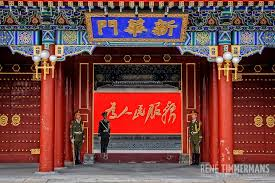 Party and Government Documents (PGD) is an extensive collection of official documents in Chinese and English, covering various levels of Chinese government, Communist Party of China (CPC) and National People's Congress (NPC) from authoritative sources from 1921 onwards. It is an invaluable resource for research on the history of Communist Party of China (CPC), the Chinese government, and National People's Congress (NPC). Party and Government Documents (PGD) is part of Global Chinese Studies (GCS)*. *Global Chinese Studies (GCS) offers a rewarding research and discovery experience with an extensive collection of materials in multiple languages in all areas of Chinese studies. It covers a wide range of primary and reference sources, bringing together rich metadata and full text from thousands of sources to make research items instantly discoverable. GCS has supported research needs at academic libraries and government agencies with peer-reviewed contents and grey literature. Providing research materials on cultural revolution. Documents on the Communist Party’s official policies concerning Taiwan. Providing research materials from the very first session of National People's Congress (NPC). It is an extensive collection of English “Report on the Work of the Government” by government officials. It contains the most comprehensive collection of Chinese government Communiques and Gazetteers from central to local government departments and agencies. It is a comprehensive collection of all government white papers in major languages including English, Chinese, French, Spanish, Italian, and Portuguese. It contains a comprehensive collection of Foreign Ministry’s diplomatic agenda, Ambassador appointments, speeches related to foreign affairs, communiques, press conferences, and spokesperson's remarks.